Pete Bryce, lead instructor of No L's driving school has been an instructor qualified with the DVSA for over 12 years and during that time has built up a wealth of experience. 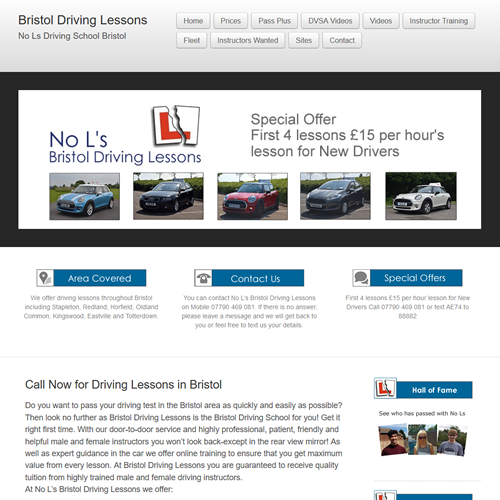 No Ls driving school serves the whole of the Bristol area and offers high quality driving lessons at affordable prices. All instructors with No ls have been DBS checked and are Pass plus registered.